Having the ability to record an iPhone or iPad’s display along with audio has long been something that a large number of iOS device owners have yearned for. Unfortunately, it’s always been something that has required quite a significant amount of work to be able to achieve, such as the necessity to jailbreak or utilize Apple’s AirPlay protocol. The introduction of iOS 8 and OS X Yosemite made this task a lot easier with the use of an updated QuickTime app, but that process requires your device to be tethered to your Mac. So what about those users who don’t want to go through such trouble at all? Then you have the option of installing the Shou screen recorder app, and here comes the best part: you don’t need to jailbreak your device in order to install it. 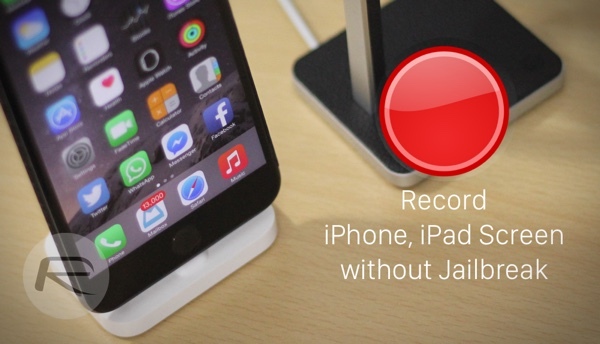 To get up and running with Shou screen recording app on iOS 7 through to iOS 8.3 – iOS 8.4 also supported – just follow these extremely simple steps. Step 4: Once you’re inside the Shou app, you’ll see a ‘Continue’ button – tap on it. This will take you to the App Store to download the free, ‘Shou.TV’ app. This App Store version is the broadcast viewer app. 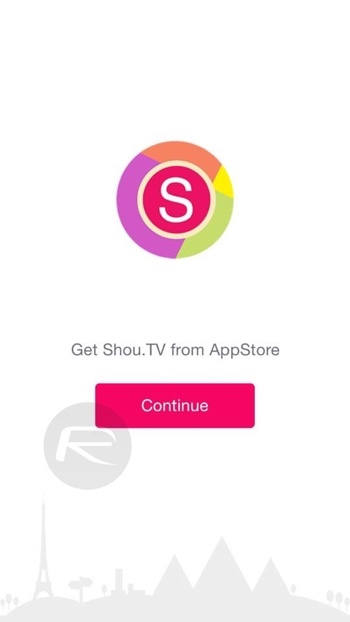 Shou has two apps, one for recording/broadcasting that you already have downloaded from outside App Store in step 2 above, and the second one is live broadcast viewing app which you just downloaded here. 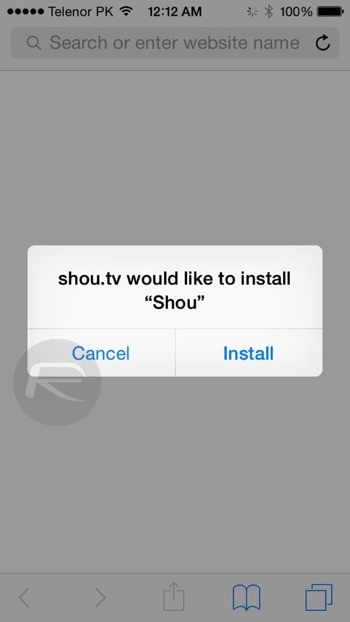 Step 5: Once the Shou.TV app is done downloading, launch this app. Create a new account and when you are done, close the app. Step 6: Next launch the ‘Shou’ recording/broadcasting app. You’ll be presented with two options here – ‘Broadcast’ and ‘Record screen’. 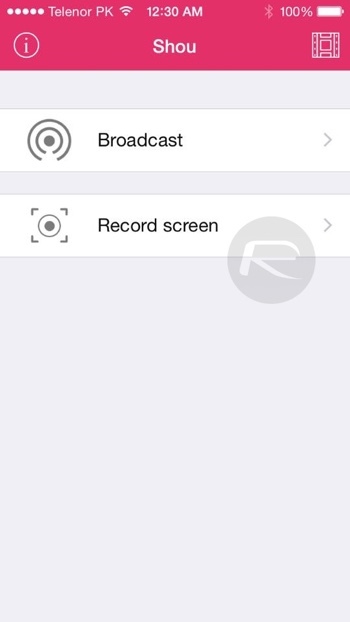 Step 7: Tap on the ‘Record Screen’ button to start screen recording. All of your recordings are saved locally and can be accessed in-app by tapping this square button. While officially iOS 8 users have to go through the rigmarole of recording their device’s screen using a Mac running OS X Yosemite, it’s worth mentioning here that iOS 9 has the ability to record a device’s screen natively – thanks to the new ReplayKit API – which will, quite obviously, make such apps redundant when the final release takes place this fall. Till then, Shou has your back. You can install sho on Io9 beta but crashes on opening. 8.3/8.4 works though. Shou is not compatible with iOS 9 yet. Or you could just plug it into your Mac and record using QuickTime. 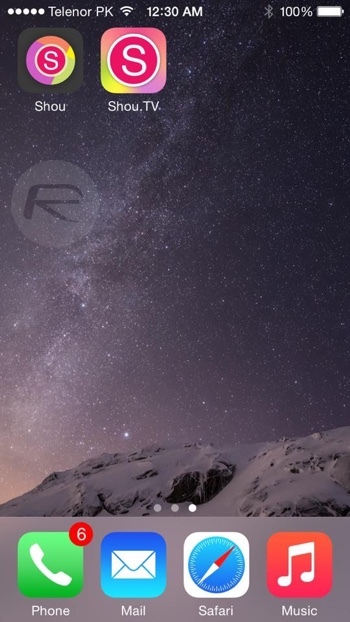 If you run iOS 9 why bother with Shou ? 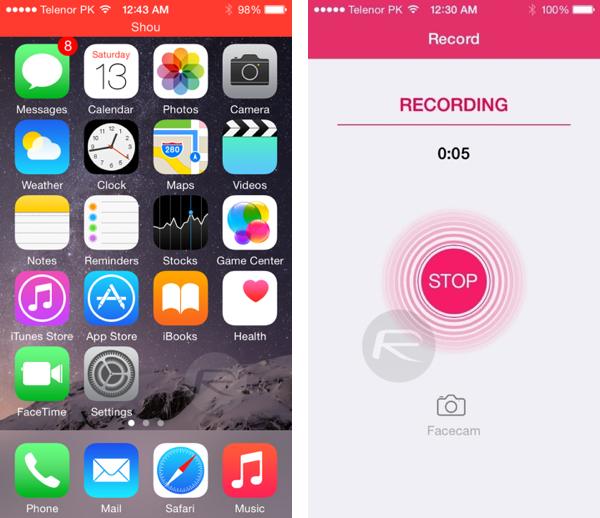 Why should it, if iOS9 has native screenrecording support? Not necceasirly, a PC has better editing, less cpu intense. But both options, never hurt. I used QuickTime too. The quality is great but the sound lag is the biggest problem. I can’t seem to send any recordings I make with Shou. I save them to the camera roll, but when I try to send them, it fails. I’ve tried mov and MP4, I’ve also tried varying qualities and bitrates, I have no trouble sending any other video from my phone through iMessage. Is there a trick to sending these files? Just to test. Bored with no jailbreak. Hello people, I believe lots of you noticed that lots of AT&T սոⅼοсking sites aren’t working anymore, it’s because AT&T doesn’t permit cheap ՍΝᏞΟᏟΚing sites’access to their database anymore. Which caused plenty of third party սոⅼοсking sites incapable of սոⅼοсking AT&T anymore, but you can still use just google atttiphoneeuunlocking, it’s one of the most reliable ՍΝᏞΟᏟΚing site for AT&T. 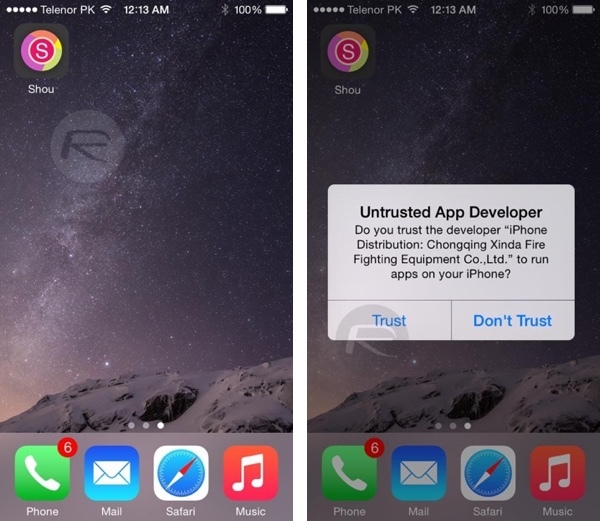 Doesn’t work anymore – untrustworthy developer. Is there a way around this? On my iPhone 4 with iOS 7.1.2, I can not go through the step 4 : when I tap on “continue” button, the App Store is opening a blank page ! Shou is a very flaky app. As long as you keep it on your iPhone or in in your camera roll the video wrorks fine. Try to export it to use it somewhere else, like to edit it in FCPX for an instructional video, and it will go black. you can not export it from Camera Roll except for in its native format which Camtasia nor FCPX like. That take it the file without error, but when you start to try editing in Camtasia for example, the video seems to freeze. You can scrub the entire length of the vido and the same frame shows. In FCPX, the clip shows up in but when you try to scrub it, the clip turns to black. Shou seems to be outputting in some non-standard format, I am not sure. But the produced video is worthless outside a controlled environment. Currently, I’m using a desktop app call Acethinker iPhone screen recorder that mirrors my iPhone screen to the computer and use its screen recording function to make videos. It’s not that direct, but it works.